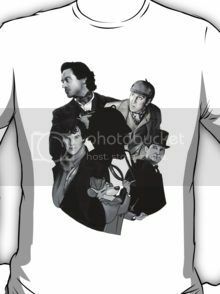 Description: Titled "Sherlocks," this shirt features different incarnations of the human detective: Robert Downey Jr., Basil Rathbone, Benedict Cumberbatch, and Jeremy Brett. Basil of Baker Street is also included. 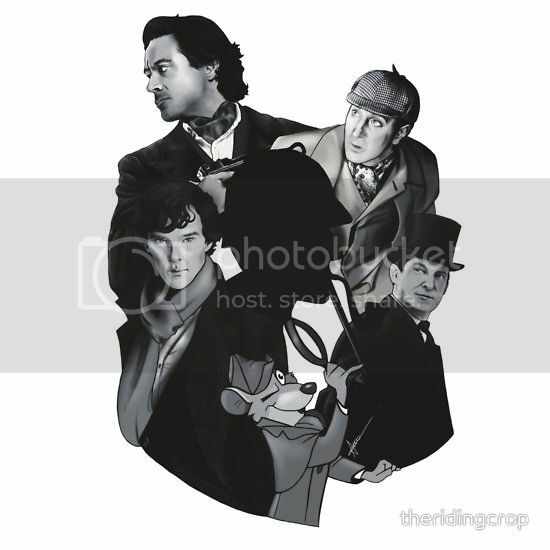 Currently available for purchase at Redbubble by the seller and artist theridingcrop.